Francesca Pasquali will realize PLASTIC ISLANDS, a live opera created by the collaboration with the SYDNEY OPERA HOUSE. 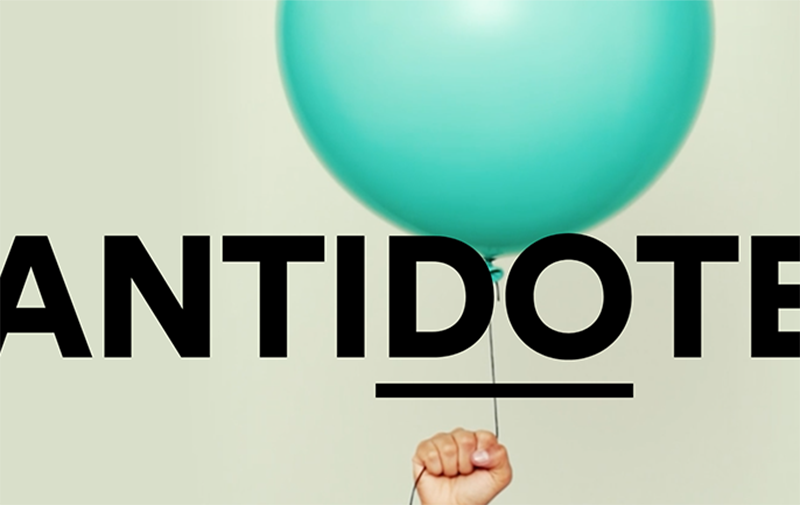 We will meet you to SYDNEY the Sept 2nd, from 10 a.m to 4 p.m during ANTIDOTE, a band of speakers, thinkers and creator, united by the unconventional. Sydney – Wednesday 15 August, 2018. The Sydney Opera House has today announced experimental visual artist Francesca Pasquali will transform 15,000 unused plastic straws from its onsite restaurants and bars into an art piece, realised live on 2 September at ANTIDOTE 2018 – a weekend of ideas, action and change. On 1 August 2018 all six of the Opera House’s restaurants became plastic straw free, a move that will save more than 2.2 million straws annually. To ensure 15,000 remaining plastic straws did not become waste, the Opera House engaged Pasquali to create a visually arresting and thought-provoking artwork, in collaboration with sponsor Adobe. Sydney Opera House Environmental Sustainability Manager Emma Bombonato, says “Movements like the City of Sydney’s #SydneyDoesntSuck and #TheLastStraw are gaining momentum worldwide with support from small venues and multinational corporations to entire cities and countries. As the symbol of modern Australia, the Opera House has great potential to lead by example and champion grassroots action. Hi res images of Francesca Pasquali’s previous works and artist bio available here. Francesca Pasquali’s Antidote installation has been enabled by Opera House sponsor Adobe. 1. 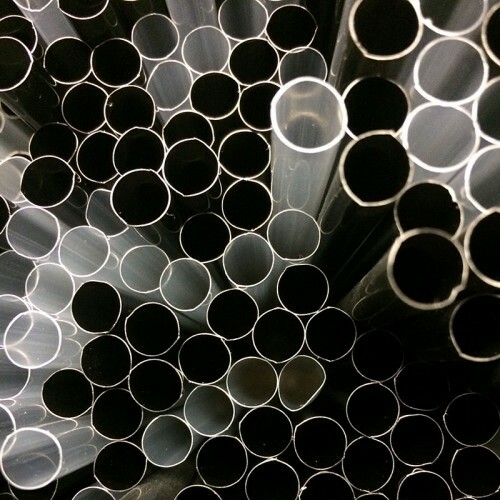 What are you planning on doing with the thousands of straws? The main idea is to use an everyday object, which we usually use and then throw away, to elevate it to an artistic medium, to give it a second life. We are surrounded by a myriad of objects that we believe are devoid of any aesthetic value; through the revaluation of the plastic object I create a combination between nature and artifice. The combination of straws creates a texturized surface that refers to natural elements, such as an eye of a fly observed under a microscope. The same precision and symmetry of industrial production, we find in nature and in the way in which it creates its forms. This explains how everything that is artifice at the end brings the thought back to preconceived forms that are part of our subconscious, referring to archetypal forms that we all know. I will take a number of hours to complete the entire work. During the process I will decide whether to shorten the heights of some of the straws to give more movement to the surface to make it even more real! 3. Will it just be you doing it? I usually work with my assistant in the early stages of work. The final phase, that of defining the overall shape, is a moment that I dedicate to myself for small adjustments that only an expert eye can grasp. 4. 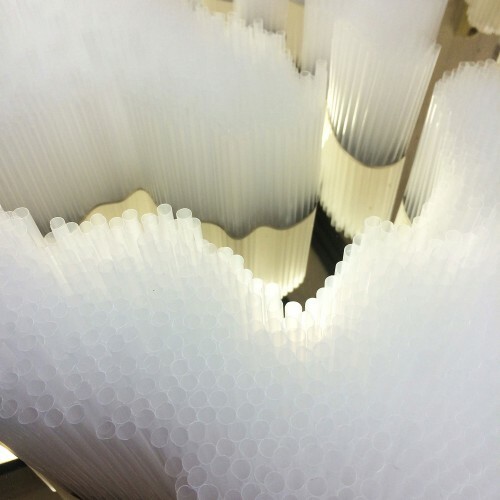 In Sydney straws have become central to the conversation about waste and single-use plastics. You’ve worked with straws before, what is your opinion about this topic? I have always worked with plastic materials in common use, such as rubber bands, broom bristles, bracelets, but also with industrial materials for sectoral uses such as neoprene, polyurethane foam and silicone. The straws were among the first works I made on a large scale. The use of reputedly sterile common objects could create new awareness in people. I am convinced that the object itself is not harmful, but the use that each of us makes of it can be. Plastic has revolutionized the world, but as often happens, indiscriminate use leads to harmful consequences that are beyond control. My intention is therefore to re-evaluate the material and give it a second life, a second possibility, so that nature and plastic artifact live in symbiosis and perfect balance. I think it is symbolic to imagine that the plastic we see navigating the sea and forming islands can have a human, social and artistic function. From agglomeration of waste to island of contemporary cultural and environmental promotion, in which the perceived and the real are confused thanks to the image, the shape and the matter. Not all that glitters is gold, but not all dark at night.